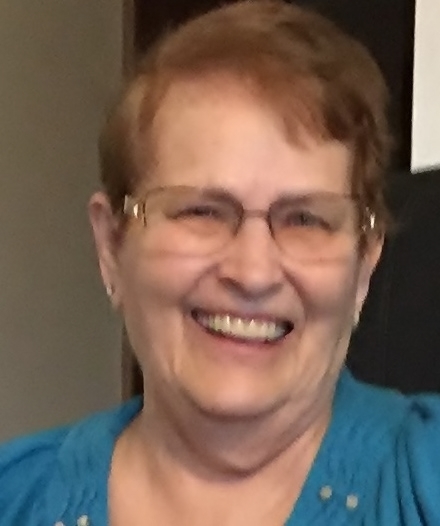 Goodland resident Bernadine June Johnson, 76, passed away Thursday, September 27th at Citizens Medical Center in Colby, Kansas. Bernadine was born on October 18th, 1941 in Imperial, Nebraska. She was the daughter of Melvin Griess and Eleanor (Griess) Crabb. She was the oldest of seven children. As a child Bernadine lived in different towns because her father traveled to construct grain elevators. On October 30th, 1957 she married Donald Colby. To this union four children were born. Bernadine then was common law married to Jim Bateman. To this union there were three children. On February 29th, 1980 in Burlington, Colorado, she married Arthur S. Johnson and to this union they adopted one son. For much of her life Bernadine waited tables at the Sunflower Restaurant and the Boyington Inn. She also tended bar at the Moose Lodge. In later years she worked housekeeping and front desk at the Budget Inn in Colby before she retired. Bernadine enjoyed watching the kids dirt track racing. She was very involved in 4-H until her health slowed her down. Her love for goats still lives on today. In the last couple of years she developed a love for Pembroke Welsh Corgis and her dog Miss Daisy Duke. Bernadine also had a love for cooking, quilting, and sewing. Bernadine was preceded in death by her father Melvin Griess, step dad Ira McAfoos, husband Art Johnson, daughter Marleen Colby, brother Charles Griess, sisters Kathie Savauge and Kristine Ahrens. Surviving family includes her mother Eleanor (James) Crabb of Wauneta, Nebraska, brothers Merle (Connie) Griess of Champion, Nebraska and Caroll McAfoos of Parks, Nebraska, sister Vanetta (Jody) Heitkotter of Hutchinson, Kansas. Children Ricky (Brenda) Colby of Bedford, Virginia, Barb Fromholtz of St. Francis, Kansas, Tom (Tammy) Colby of Kanorado, Kansas, Diane Mowry of Nickerson, Kansas, Linda (Roy) Feldt of Royse City, Texas, Tina Johnson of Leoti, Kansas, Michael (Melissa) Johnson of Goodland, Kansas, and fifteen grandchildren, and numerous great-grandchildren, nieces, and nephews.